The Harley-Davidson is one of the Best Selling Bike Brand in the World and is well-known for its cruisers and touring bikes. 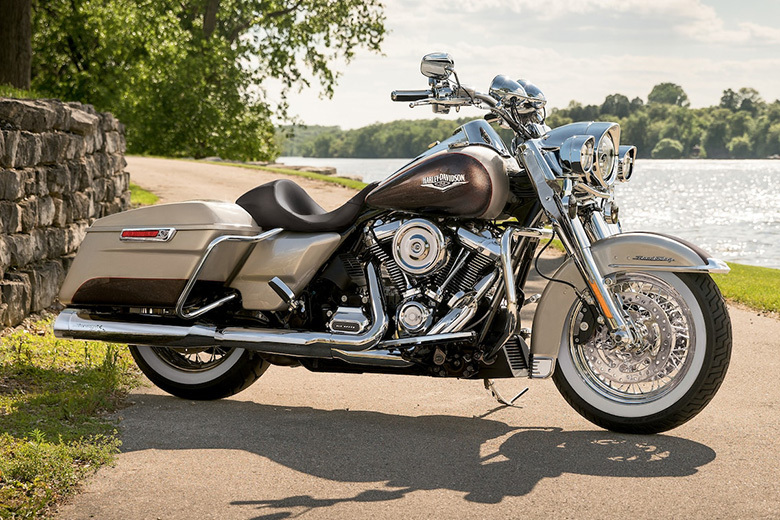 This year it has launched the new 2018 Harley-Davidson Road King Touring Bike offering the best performance and riding experience of all times. 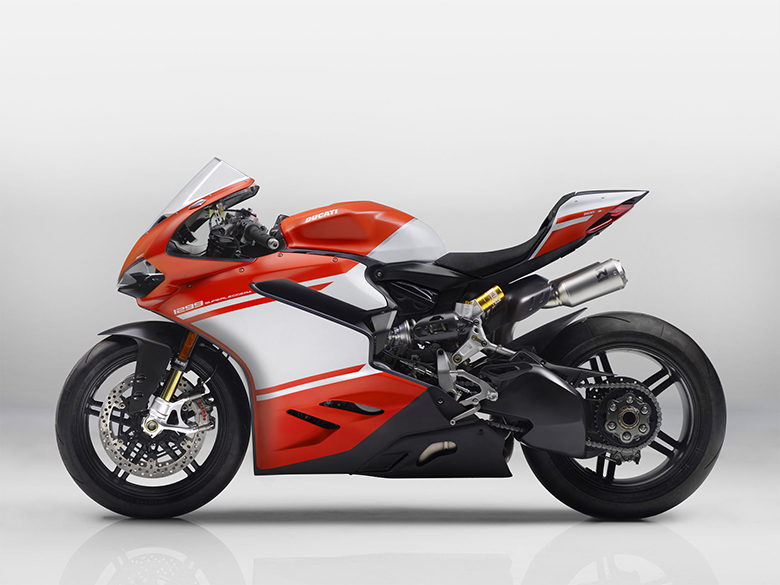 The overall chassis color and design are mind-blowing and attractive. It is said to be timeless classic built for the modern era. 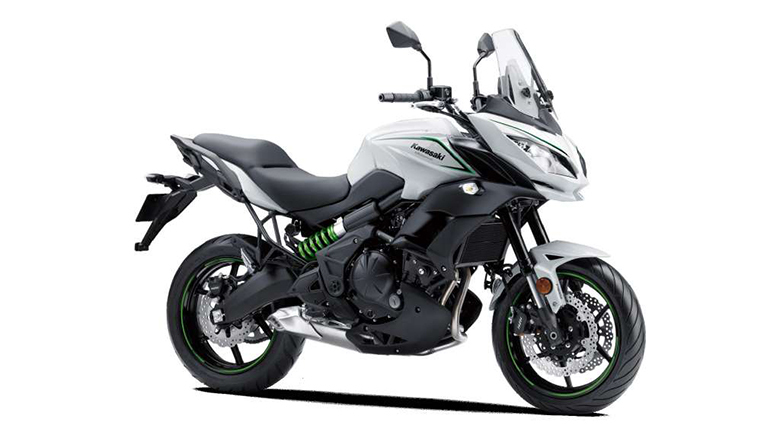 It meets the requirements of the modern touring machine. 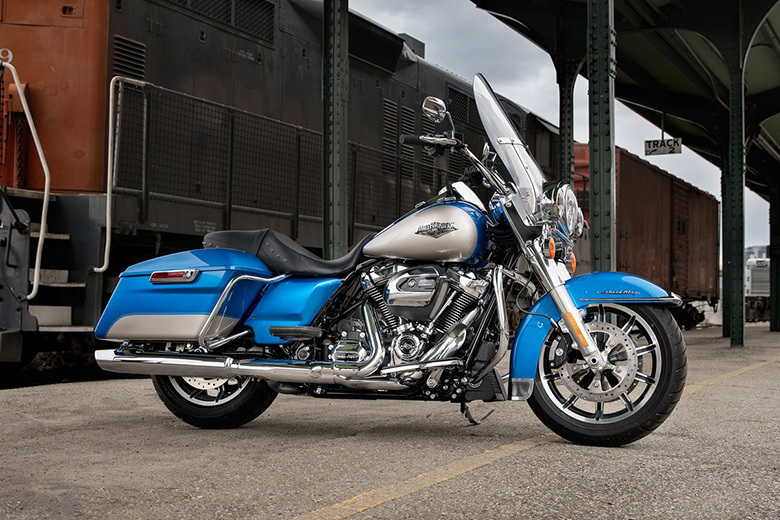 The review of new 2018 Harley-Davidson Road King Touring Bike with its price and specifications are given below. The new 2018 Harley-Davidson Road King Touring Bike comes with the powerful Milwaukee-Eight V-Twin engine capable to deliver the best acceleration. 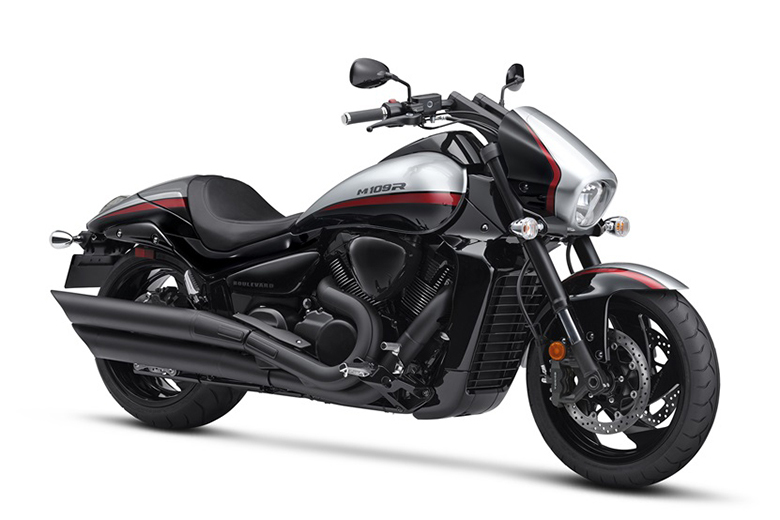 This is one of the smooth-running engines with crisp throttle response and the pure soul-satisfying rumble. The overall performance is mind-blowing like the previous model i.e. 2017 Harley-Davidson Road King. 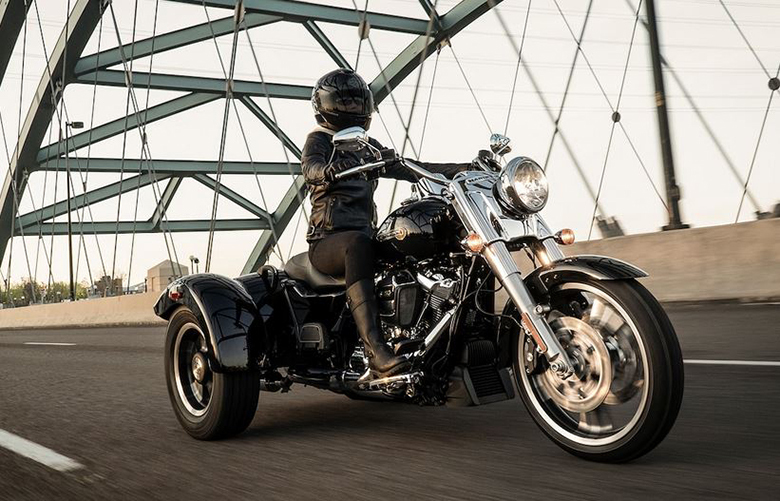 The new 2018 Harley-Davidson Road King Touring Bike features the strong and stable chassis and frame structure. The overall design is dominated by attractive colors and tank has an analog meter on it. The one-touch opening saddlebags are tight on the outsides and provide much space to store things. It has a simple design and its lid can be open by the touch of one hand. 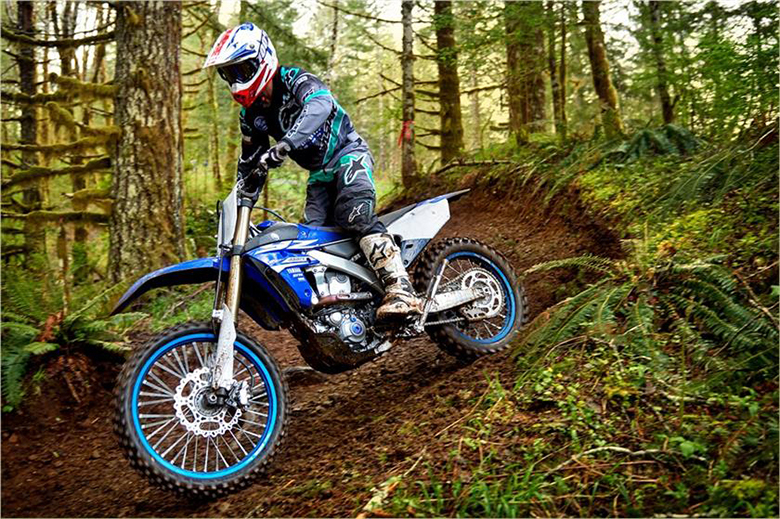 The high-performance suspension system ensures to have a smooth ride. 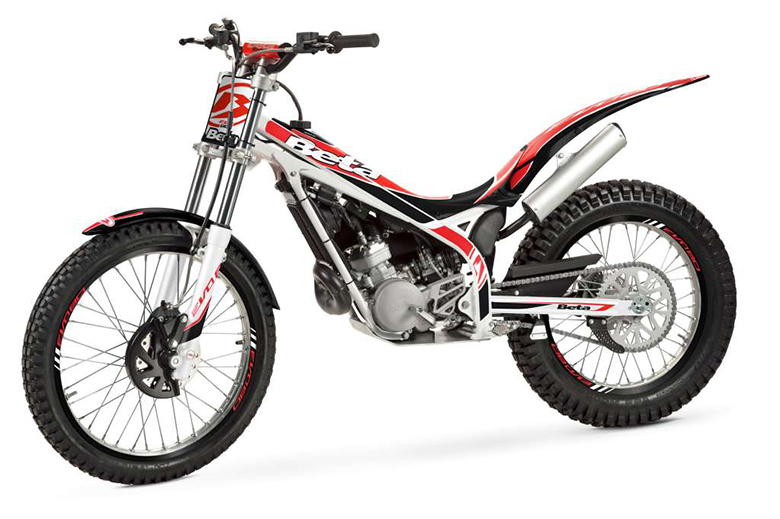 The front and rear suspension ensure to have a better damping force and rear shocks are easily adjustable. The 17-inch cast aluminum, 10-spoke Impeller wheel in the front and 16-inch impeller to match the back has been used in it. The braking system of new 2018 Harley-Davidson Road King Touring Bike guarantees to have a better-stopping force. The front and rear brakes are electronically linked to give the right amount of brake to each of its tires. 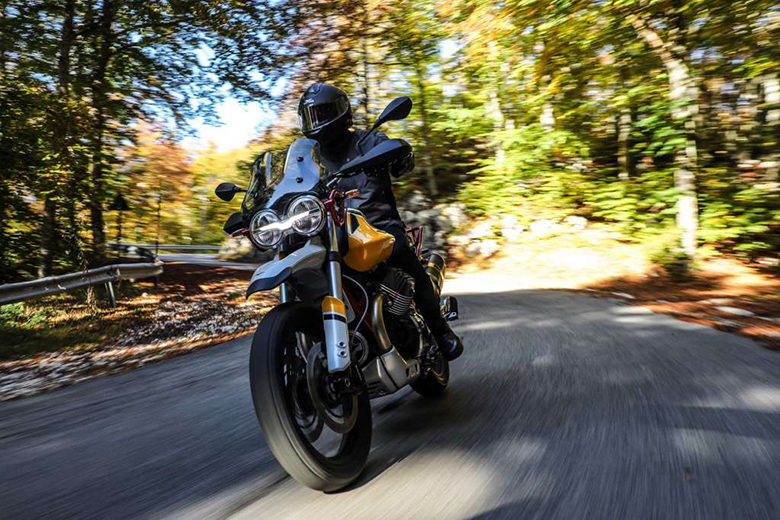 There is an option for ABS as well, which will enhance the confidence level during a ride. The headlamp and nacelle are kept bigger in size for commanding view. They are built with the latest material and technology for longer distance high beam and wider low beam. 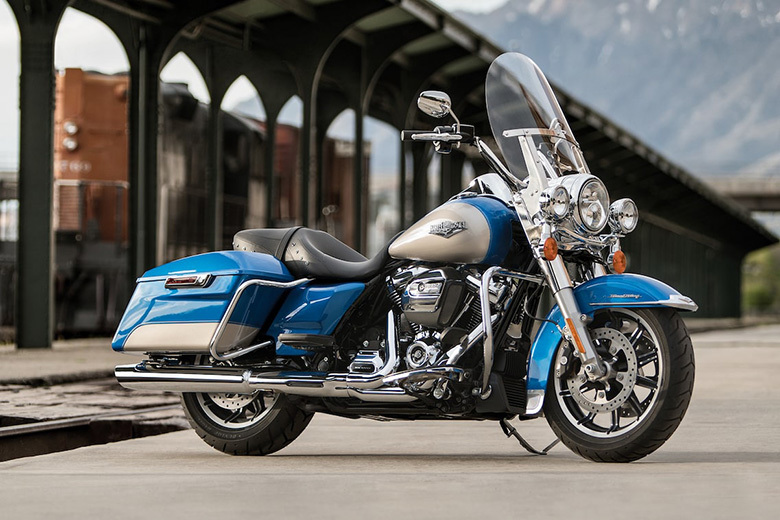 The new 2018 Harley-Davidson Road King Touring Bike is available with the price of $18,999 only. Gauges styled to complement each vehicle. The display contains odometer, trip A, trip B, range to empty and gear indicator; and larger tell-tale indicators. 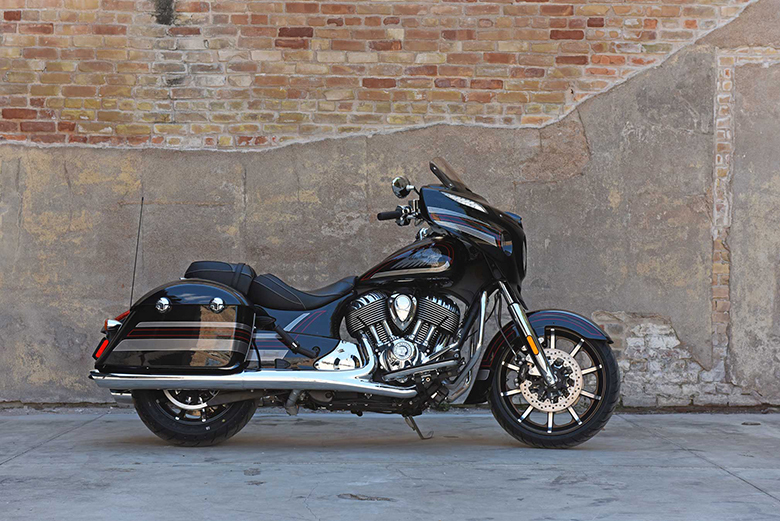 This article is the review of new 2018 Harley-Davidson Road King Touring Bike, which provide its full detail. Its new engine gives an outstanding performance in all conditions and the transmission system are working fine to achieve the better gear ratio. The seat provides the best riding position. The suspension and braking system has been customized for a better ride under all condition.